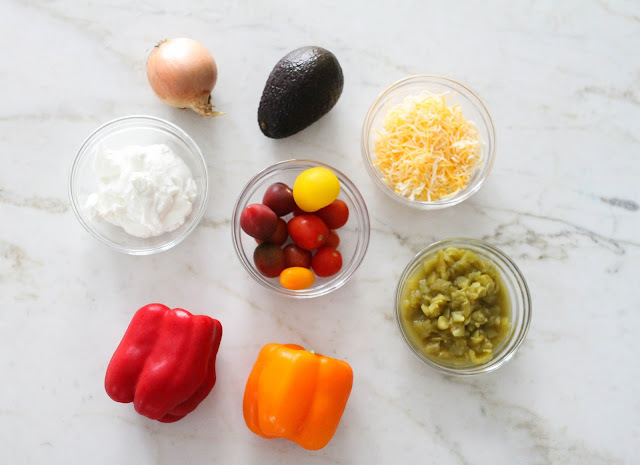 If you've been reading this blog for a while, then you probably know how much everyone in our house LOVES Mexican food! 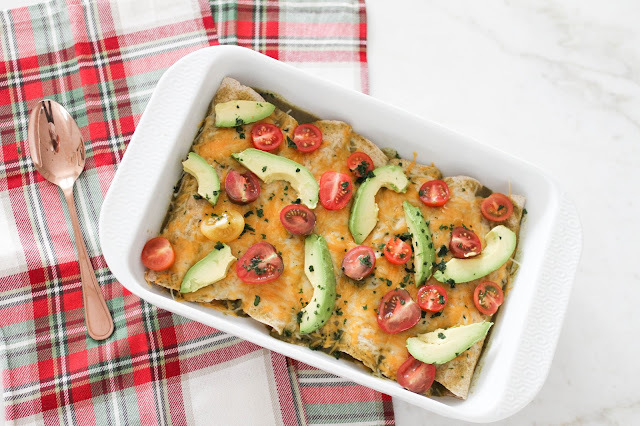 That being said, when I spotted these skinny green chile chicken enchiladas on Pinterest last month I knew I had to test them out! Holy smokes, they were insanely delicious you guys, and Todd and I both agreed that they would have to be on rotation around here!! The kids didn't eat them, so I just used some of the extra chicken I had leftover and made them cheese and chicken quesadillas. It was super easy since I had all the ingredients right in front of me and everyone was pleased (and full) at the end of the night. 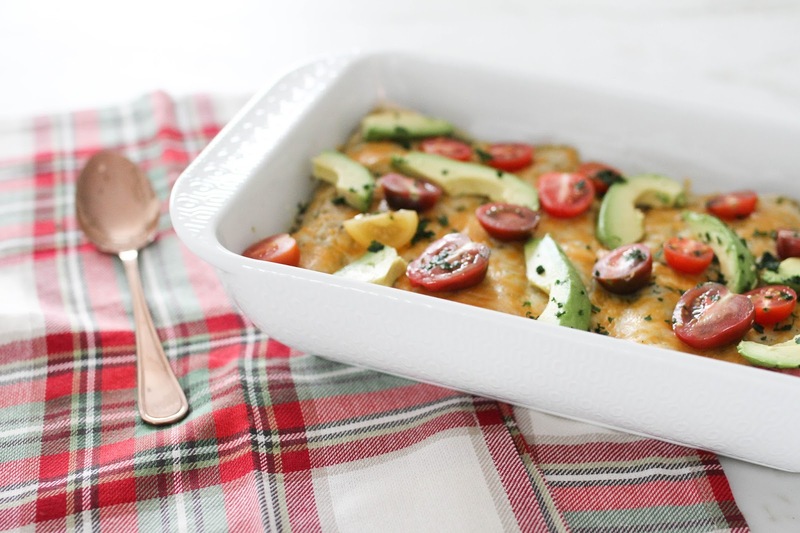 Preheat the oven to 350 degrees F. Lightly coat a 9×13-inch casserole dish with baking spray and set aside. Cook and shred chicken, following these easy steps. 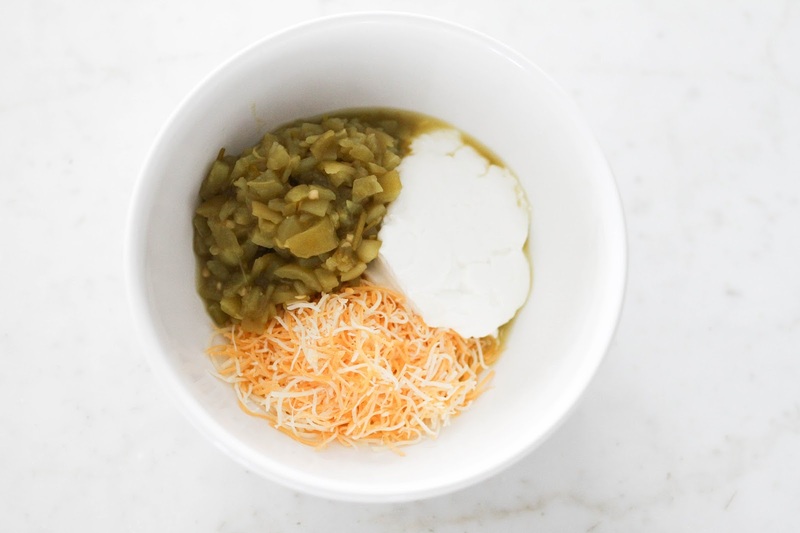 In a large bowl, combine 1 cup of the cheese, Greek yogurt, and green chilies. Once the chicken and veggie mixture has cooled to nearly room temperature, add it to the bowl with the yogurt mixture and stir to coat evenly. Also, just in case you missed these looks I shared over the weekend on Instastories, here are all the details along with sizing and fit information. Sweatshirt runs tts and I'm wearing the xs. Jeans Run tts and I am wearing the size 2. Sweater runs tts and I'm wearing the xs. Jeans run tts but stretch out a lot! For reference I am wearing the 26. Sweater runs tts and I'm wearing the xs. Jeans Run tts and I am wearing the size 2.